Wedding trends come and go, but my top 3 Wedding Planning Podcast trends for 2019 are here to stay. Weddings are becoming more & more personalized with each passing year. Long gone are the days of cookie-cutter weddings in hotel ballrooms & banquet halls. Think of creative ways to personalize your entire wedding day experience. Add your unique spin to everything from the venue, to the food, and the flow and order of events. Shake things up, your guests will appreciate it! Remember just a couple of weeks ago, when we reviewed Creative Wedding Themes & Formats? That episode is a perfect example of ways that you can go way beyond the traditional “afternoon ceremony, evening reception” model. The most fun and memorable weddings feature guest interaction and surprising twists on traditional decor and entertainment. I recently attended a wedding where the couple did a really fun variation on the “toast” tradition. 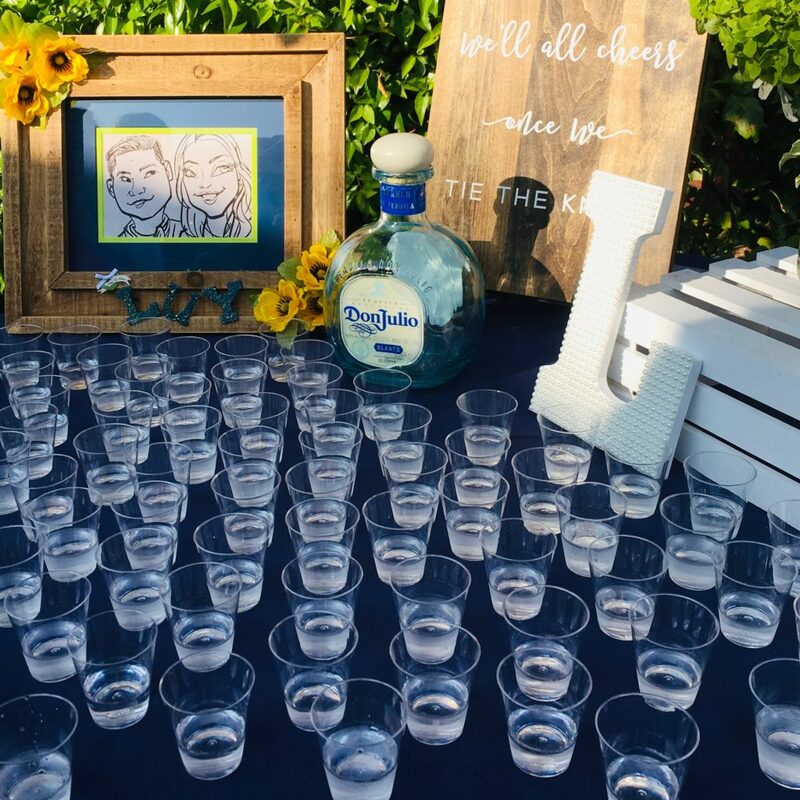 Each guest did a shot of tequila – the bride & grooms favorite – as they kissed for the first time. So fun, and definitely got the party started! Another example of a really fun, interactive entertainment idea is a live stream photo gallery from our friends at Tacboard. STEP 1: Arrange a DIY selfie / photo station with a striking, fun backdrop. Use balloons, flowers, polaroid photos of you, or an enlarged stock image. You can find some inspiring examples here. People LOVE taking and sharing pictures, so don’t stop there! STEP 2: Sign up for Tacboard & save $37! You’ve likely heard me mention Tacboard in past shows – Tacboard is an amazingly cool service that allows you to collect your guests’ photos in real-time, and display them live during the reception. All that’s required is a projector and a screen, and from there, the set up is literally plug and play. After you’ve signed up, you’ll encourage your guests to share their photos by simply sending a quick text to your dedicated wedding number. Everyone can feel like an insta-celebrity at the reception AND keep tabs on what’s going on around your venue space. Table tent cards with your custom phone number and detailed instructions are included when you sign up, making explaining everything to your guests so easy. James from Tacboard shares much more about how it works, how to sign up, and FAQ’s in this phone chat. There are endless ways to build creativity and “experiences” into your wedding reception food & drinks! Now, I don’t mean the people who count their belongings on two hands, and travel the world with just a backpack. This wedding trend goes way beyond the literal meaning of being a “minimalist”. Embracing minimalism throughout your wedding plans will allow you stay very focused on your priorities. If you’ve been listening to the Wedding Planning Podcast for the past few weeks in sequence, we identified some of your top priorities in the “What’s Your Wedding Splurge?” episode. Likewise, in that very same episode, we also uncovered what you can leave out. If you’ve participated in our free Engagement Starter Kit Series, we have walked through a detailed exercise on setting your wedding budget, and identifying priorities in terms of where to allocate your money. Using these tools – and so many more strategies that we’ll review in the coming months on the podcast – you should never feel doubt or second-guess yourself for leaving out a wedding element that isn’t important to you & your fiance. As an example to illustrate the “minimalism” trend, let’s save you $1,000 in ONE minute. A champagne toast for 150 people could easily add $250 to your catering & drinks budget. But wait a minute … aren’t we supposed to do a champagne toast?Doesn’t everyone do a champagne toast? SKIP IT. Wedding favors – $2 bottle openers x 150 guests = $300. SKIP IT. Custom menus, programs, and handwritten calligraphy name cards, easily $500. SKIP IT. BUT WHAT IF WE WANT TO SPEND $300 ON FAVORS? Now don’t get me wrong – if something is really, really important to you, then by all means include it – or at least do some research and work on creative ways to make it more affordable. For example, custom menus can be done for just a few bucks with an online template, and I bet you know someone who has nice enough handwriting that they could do “DIY calligraphy” for you. There are a zillion little wedding details that are totally optional, and I promise – no one will miss them if you decide to leave them out. Embrace minimalism. This is my favorite concept in creating a wedding day that is affordable, simple, and packed with personalized details that truly matter TO YOU. 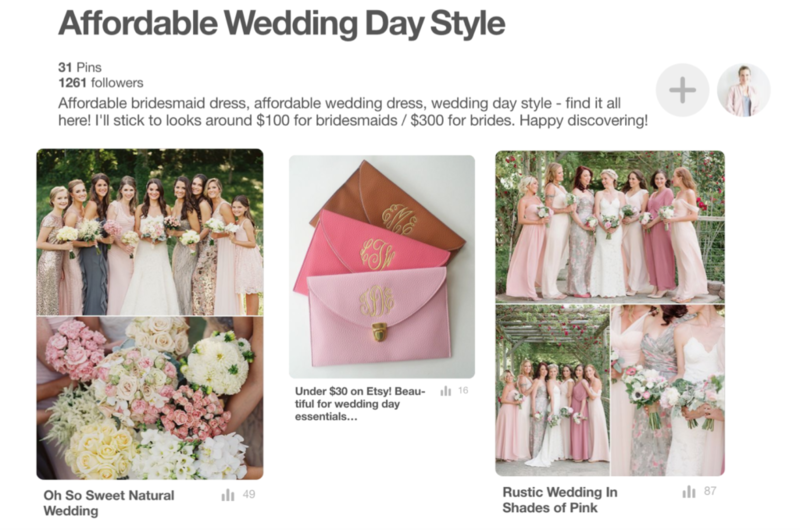 Bonus – these timeless wedding trends will NEVER go out of style! We reviewed the following 6 wedding trends in a January 2018 episode of the podcast, and every single one of them still applies today. Read on for more! The average wedding in 2016 cost over $35,000. Guess what? I don’t think your wedding budget needs to be that high! You can always depend on the Wedding Planning Podcast for simple and affordable wedding planning advice that takes the expense OUT of your wedding plans. Inviting fewer guests is one of the easiest ways to keep your wedding budget in check. Consider this wedding trend of keeping things small and intimate to increase your interaction with your closest loved ones. I have lots of past episodes dedicated to keeping your guest list small – visit www.weddingplanningpodcast.co/podcast and search “guest list” for more! Keep your wedding day simple and casual by considering a less traditional structure. Your wedding can easily pass by in the blink of an eye, with tradition after tradition crammed in one after another. Slow things down, and think about the guest experience – how can people spend the maximum amount of time savoring each moment, enjoying each others’ company, and celebrating your special day? Give guests space and time to mingle in a casual, understated environment. Consider an extended cocktail hour, and a casual dinner of food stations and standing room vs. assigned seats and a plated meal. Fun and creative lawn games and interactive entertainment can replace loud, nonstop dancing. Provide plenty of opportunities to interact with your guests, and to savor each and every moment without feeling rushed or under pressure – this is one of my top priorities for any couple on their wedding day! My favorite non-traditional gift registry option is ZOLA. Sign up today for FREE and enjoy a $50 registry credit! From honeymoon funds to exercise classes, the sky is the limit when you set up a totally free wedding registry through ZOLA. Forget the traditional towels and toasters, and let your imaginations go wild with possibilities for wedding gift ideas. Gone are the days of spending thousands of dollars to decorate every square foot of your wedding space with fresh flowers. Some alternative wedding trends I love are sticking with lush greenery, or using alternative items such as books, candles, pinecones, photos. Affordable seasonal produce items like pineapples, citrus, pumpkins or apples are also a wonderful way to add color, freshness and visual interest to your space without spending a ton of money on a traditional wedding florist! Mismatched wedding parties have been on trend for years now. If you ask me, this fun look is here to stay! A variety of colors, shapes, textures and accents are a wonderful way to showcase your personalities. Play with fun details from bowties to socks, bouquets, shoes, and dress styles. Much more on this beautiful Pinterest board that I created just for you! Over the coming months, we’ll go over all of these wedding trends in much more detail. I have tons more to share! I’m here to help you keep things down-to-earth, streamlined, and simple. Your wedding day should always be a reflection of YOU and your priorities. I hope that our time together will encourage you to find creative and unique ways to express yourselves throughout your wedding planning adventure! You are always welcome to reach out to me with your wedding planning questions, stories, and photos. Follow along on Instagram, and send me a direct message if there’s anything I can help with! follow on Instagram @weddingplanningpodcast for behind-the-scenes fun!